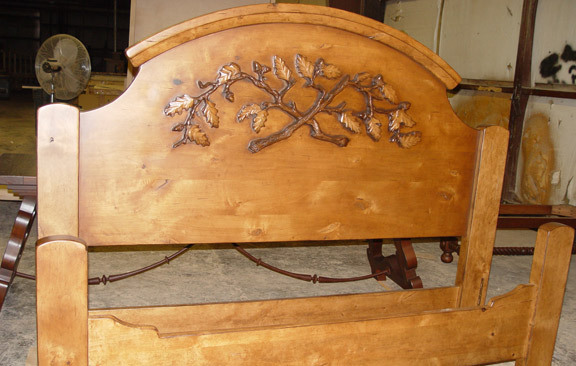 Doing what she loves to do best, Catherine Bestland can enhance the natural beauty of the wood in your home. 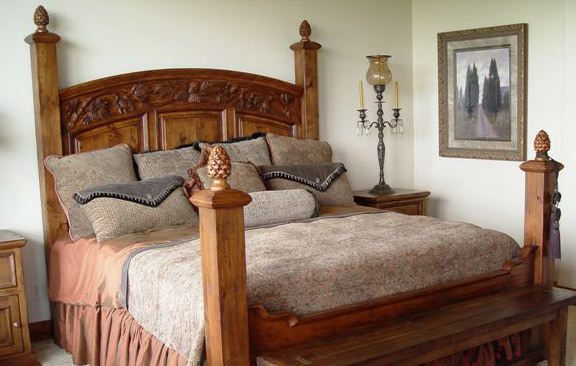 Wood carved doors, customized mantelpieces, intricate wildlife sculptures, wall panels, and unique furniture. 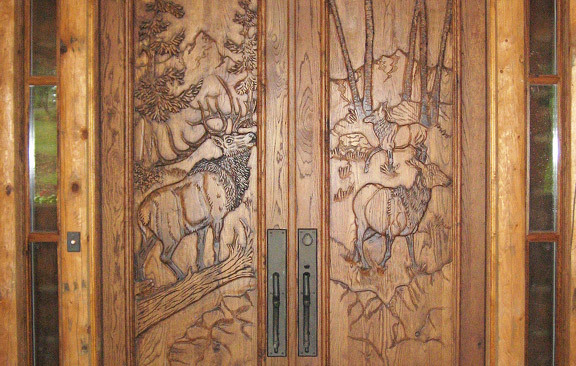 Here at Masterpiece Carved Doors there is no doubt that you will be in love with your newly carved masterpiece. 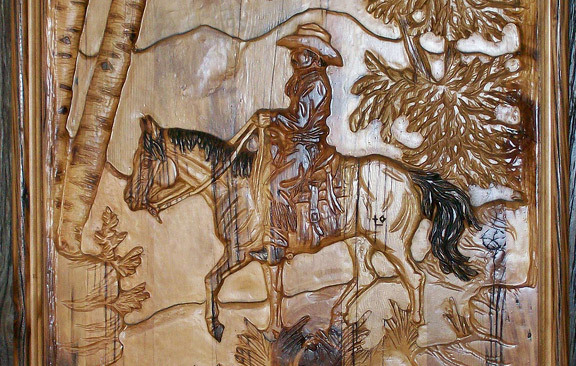 Custom, hand-carved marvels of local or distant wildlife made solely for you. Each piece of handiwork becomes a unique tribute to nature and it’s wild but beautiful elements. 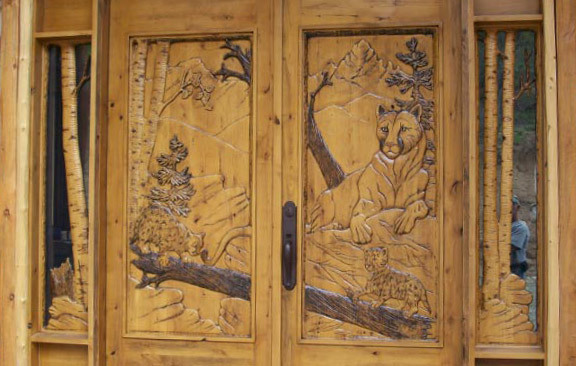 With the intricate hand-carved wildlife mantelpieces or a custom carved wall panel you have the untamed finery of the wilderness easily accessible in your own home. 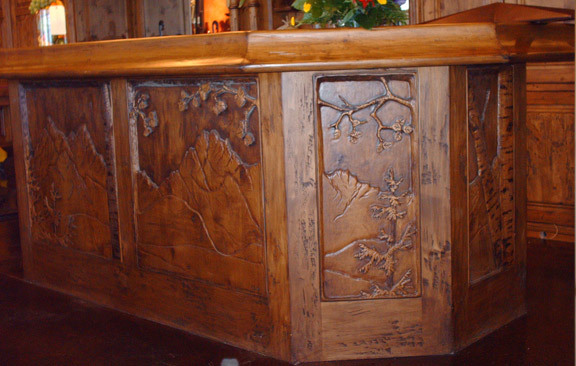 These enchanting pieces of hand carved genius can add that rustic home accent you have been looking for. Fill your home with scenes of breathtaking nature and wildlife, bringing indoors the splendor of the outdoors.